LAUSD Board President Refugio "Ref" Rodriguez and his cousin have been criminally charged after allegedly using Rodriguez's personal money to reimburse donors for nearly $25,000 worth of election campaign contributions – in a case that city ethics investigators call "political money laundering." Rodriguez, 46, and Elizabeth Tinajero Melendrez, 45, were each charged with one felony count of conspiracy to commit assumed name contribution and 25 misdemeanor counts of assumed name contribution, the Los Angeles County District Attorney’s Office announced Wednesday. Rodriguez became school board president for the nation's second-largest school district earlier this summer. He faces two additional felony charges: perjury, and procuring and offering a false or forged instrument charges. The investigation stemmed from a whistleblower complaint made to the Los Angeles City Ethics Commission in March 2015 about Rodriguez’s fundraising activities during his first campaign for elected office. Rodriguez made a late announcement that he was running for school board in November 2014, but managed to raise $50,000 during the first campaign reporting period, which ended Dec. 31 of that year, the DA's office said. The Ethics Commission found that over a 22-day period in December 2014, nearly half of Rodriguez’s campaign contributions were fraudulent because he and Melendez reimbursed them. Twenty-five donors, most of them family and friends, were reimbursed $24,250, the DA's office said. Rodriguez allegedly signed, under penalty of perjury, a campaign finance report that listed donors' names. The Ethics Commission referred its findings to the DA's office, where a prosecutor with the Public Integrity Division is handling the case. In a statement distributed by LAUSD Wednesday evening, Rodriguez said the charges follow "attempts by my legal team and me to resolve these issues with the Los Angeles Ethics Commission for over two years. " "As the product of an immigrant family, nobody has more respect for the integrity of the American justice system than I do. I have cooperated with authorities and hope these issues will be resolved expeditiously and fairly," he said. A 10-page accusation released by the Ethics Commission details the "laundering" allegations, stating Rodriguez and his cousin were served with the commission's allegations on May 17, and that the suspects entered pleadings in June. In early July, Rodriguez was chosen as school board president in a 4-3 vote of his colleagues on the seven-member school board. After filing paperwork to run for office in 2014, Rodriguez provided $26,000 of his own money to Melendrez, who was a key campaign volunteer, and told her to put the money into his campaign account by asking family members to make contributions, the Ethics Commission accusation alleges. The document alleges "Rodriguez engaged in money laundering to further his campaign for elected office and that Melendrez aided and abetted Rodriguez in executing the money laundering scheme." The document identifies the 25 "donors" by name. The maximum penalty the commission could levy would be $5,000 per violation. But under the criminal complaint, Rodriguez faces a possible maximum sentence of four years and four months in jail, and Melendrez faces three years in jail. They were both set to be arraigned Wednesday afternoon. The DA's Bureau of Investigation is still working on the case. 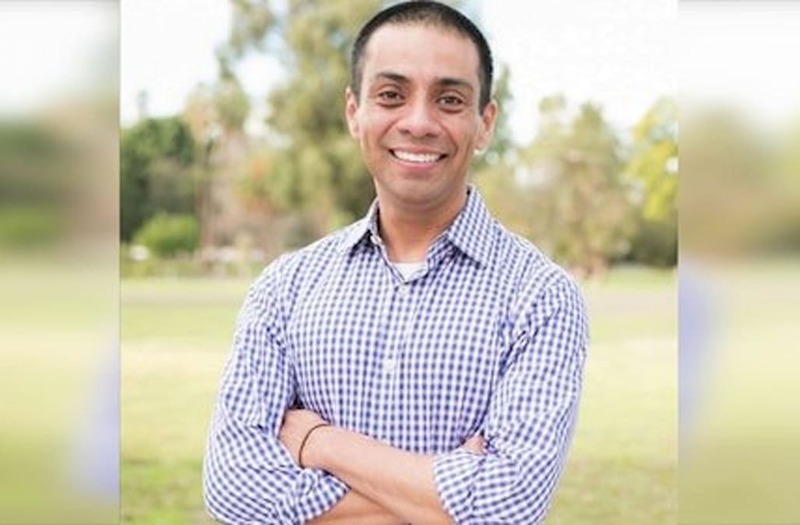 Rodriguez was elected in a May 2015 runoff to represent District 5 of Los Angeles Unified School District. His district includes Northeast Los Angeles, Echo Park, Silver Lake, Los Feliz, parts of Hollywood and South L.A., and the cities of Bell, Maywood, Vernon, South Gate, Cudahy and Huntington Park. The co-founder of charter school chain Partnership to Uplift Communities, Rodriguez unseated Bennett Kayser, who was seen as a teachers union ally, in a bitter and costly election contest.